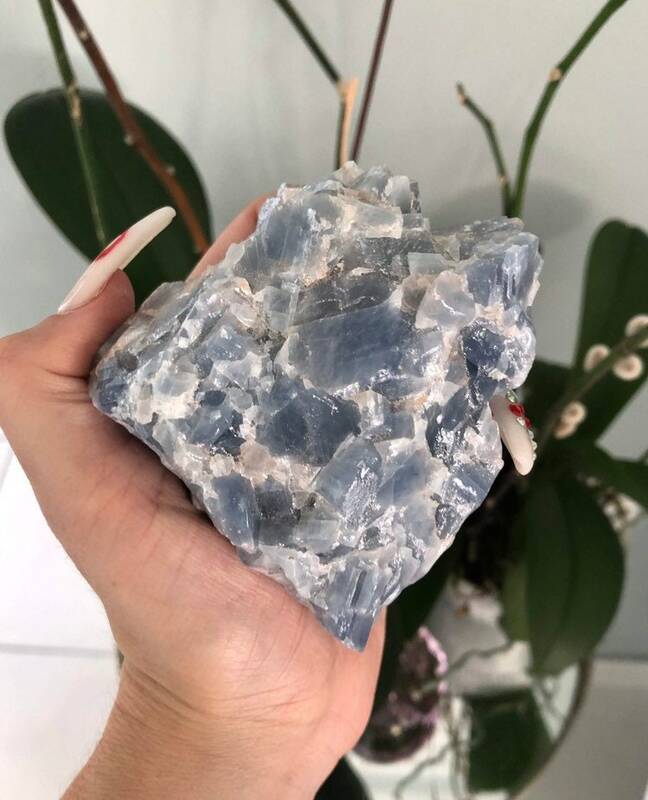 Fall in love with this Large RAW Blue Calcite healing stone. 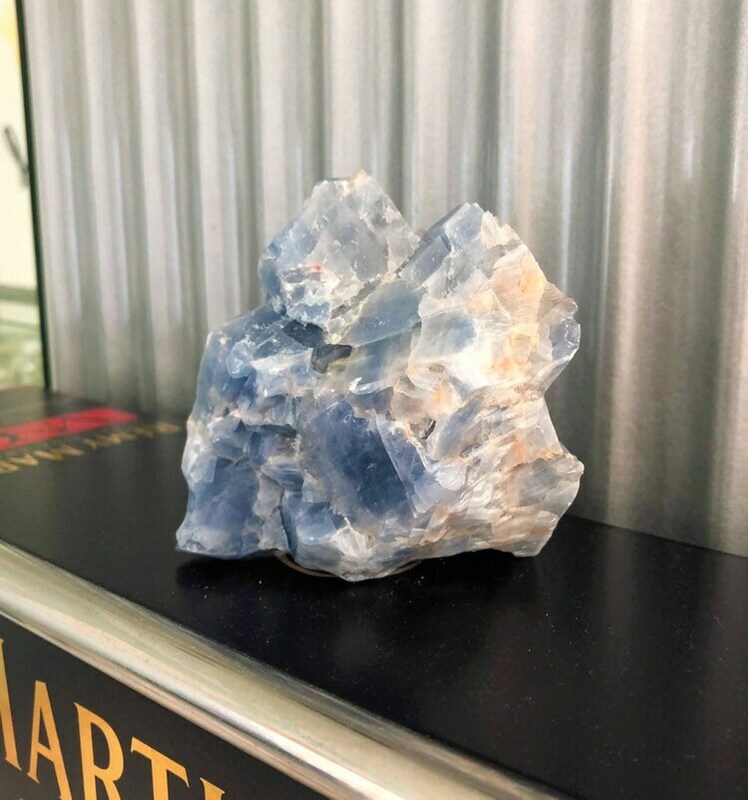 Best used with the Throat Chakra to better facilitate calmness while activating clear communication, especially among differing or opposing points of view. 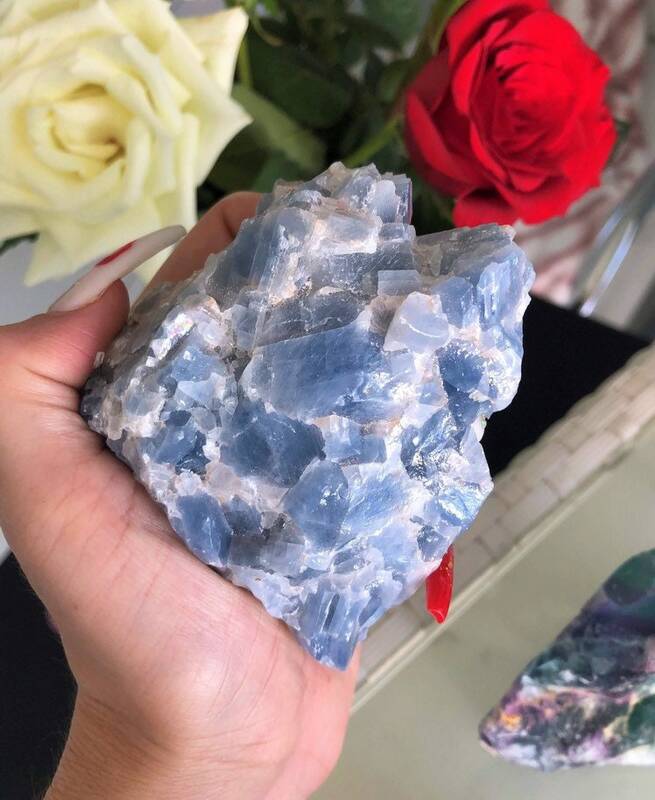 Meditating with Blue Calcite can promote an optimistic point of view. 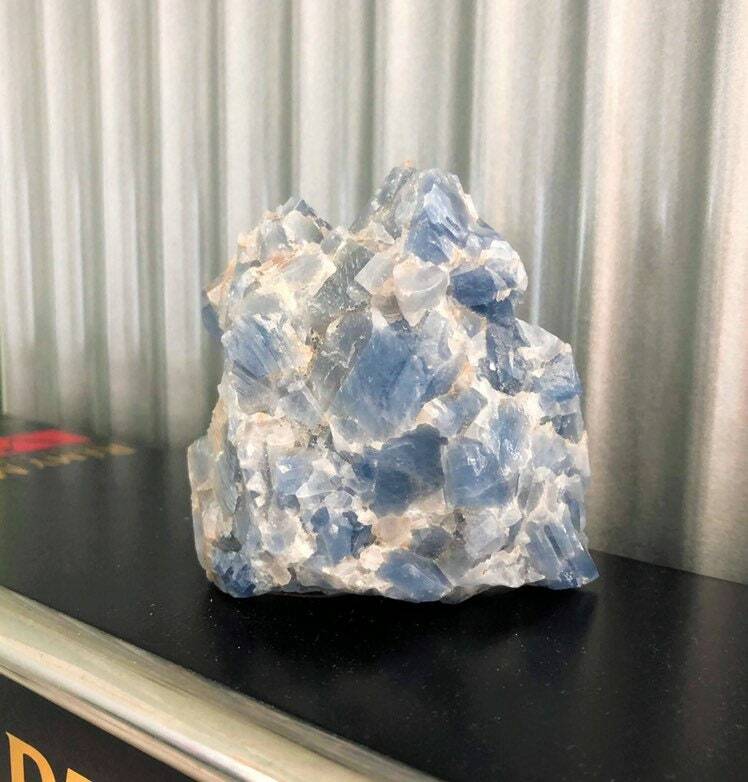 Calcite is a powerful energy amplifier and cleanser. The purifying energy of Calcite cleans out stored negative energy from a room, the body, etc. Use Calcite to clear out old energy patterns and to increase personal motivation and drive. Calcite is also a good choice for distance healing work, because it amplifies the energy being sent. 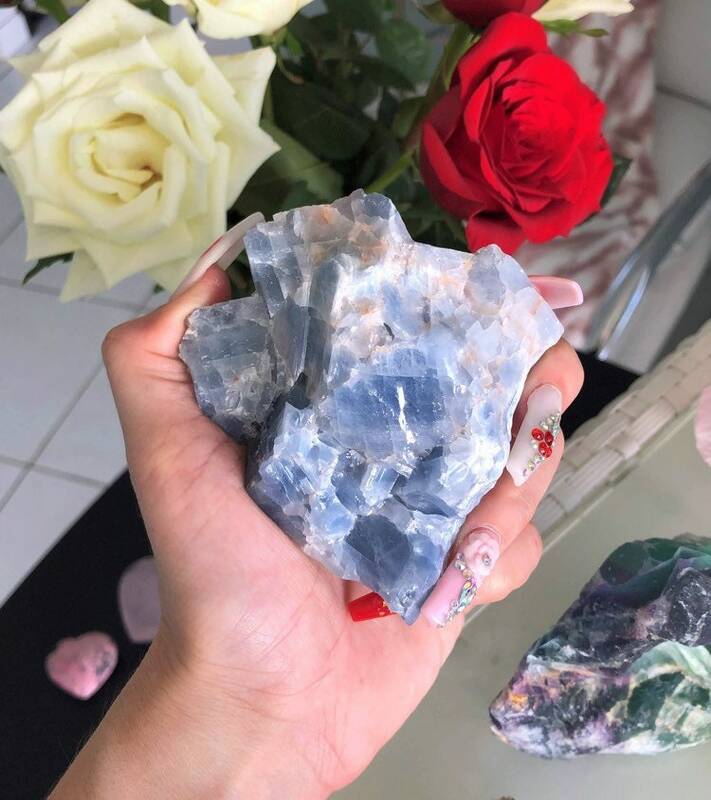 Want to see more crystals?